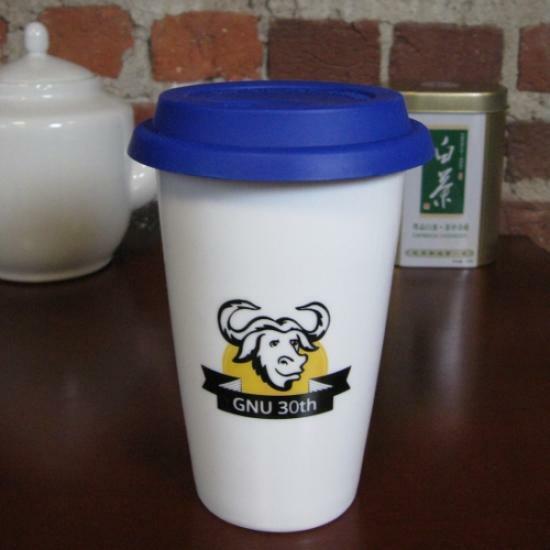 Celebrate the 30th anniversary of GNU with this limited edition commemorative travel cup. The side of the cup features the outline of the new GNU mascot logo in front of a rising yellow sun, and the lid is blue. It holds 12 fluid ounces and is microwave safe!